With Irma’s Carnage- Do You Need a Midlife Family Meeting to do a Disaster Plan for Aging Parents? Can you close your family floodgates as New Orleans closed theirs after Hurricane Issac and Katrina? September’s catastrophic disaster with Hurricanes Irma and Harvey hitting near the anniversary of Hurricane Katrina should be a midlife sibling nightmare. It brings back the now recurring nightmare of Katrina -the most gruesome weather catastrophes where 100 elderly residents died trapped or abandoned in retirement centers.We just plunged into the nighmare once again with Irma, so far 8 elderly have died, with criminal charges pending. On Irma;’s heels with now have Maria which should scare adult children enough to take emergency action to protect their parents. This should be a deafening shout to you and your midlife siblings that you need to convene a midlife sibling disaster plan family meeting for any aging family members-, no matter where your elderly parents live. You need a disaster plan because older people are more likely to die in disasters than any other population and as I pointed out in my last blog, just because they are in a facility – they are not safe in fact Katrina and Irma tell us perhaps they are more in peril. So before Maria or another hurricane, tornado, earthquake, flood, or any disaster hits, you need to have a midlife siblings disaster family meeting. 9) If elder family members are in a facility get the facilities disaster and evacuation plan. If it does not include calling the family considers moving your loved one or make sure that is changed. Appoint a sibling to be in charge of this and the contact person. Call your state facility licensing body and find out the state regulations to see if they match the facility- CCRC, Assisted Living or Nursing Home10) Put all of the above in writing. 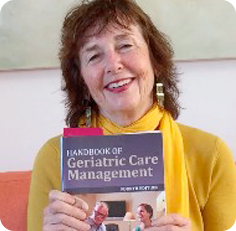 Professional s Check out my book Care Managers Working With the Aging Family, Jones and Bartlett, with its chapter on Family Meetings and the Aging Family by Rita Ghatak, director of Stanford’s Aging Program .